Samson, Meta and L. Szkolny (illus). Spatz macht sich. Berlin: Jüdischer Buchverlag, 1938. “Wishing that you may make your own way just like this ‘sparrow.’ Love, Evi, your Aunt Becker. Cologne, Rosh Hashanah 5699,” reads the inscription in this slender volume. 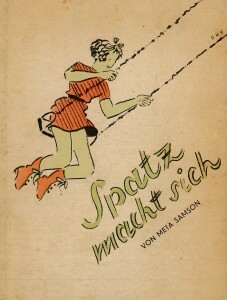 The sparrow (in German, “Spatz”) in the inscription refers to the title character of the book, Spatz Macht Sich (Sparrow Makes her Way). 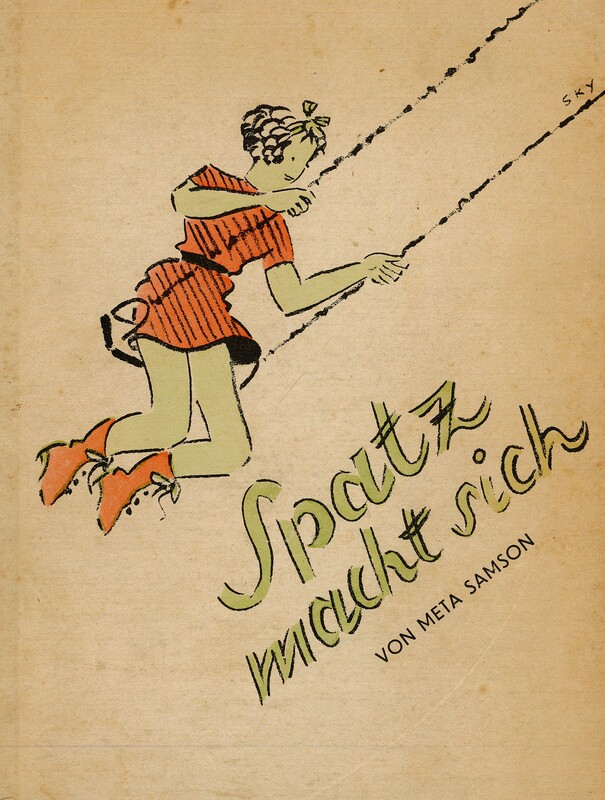 This children’s novel by Meta Samson was the last Jewish children’s book published under the Nazis in 1938, and this rare original edition is now preserved in the LBI library. Meta Samson began writing children’s literature after she was forced to give up her original profession as an educator. This book follows a nine-year-old Jewish girl nicknamed “Sparrow” through her daily life with her mother in Berlin. Sparrow’s older siblings have moved away, and she and her mother navigate an increasingly circumscribed existence on their own. 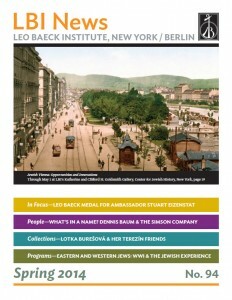 The book was one of the last published by the Philo Judischer Buchverlag, the publishing arm of the main umbrella organization for Jewish groups in Germany. Although “Spatz” was printed in the fall of 1938, the Gestapo closed the publishing house that November and the book never went to market. Meta Samson and her then 14-year-old daughter Marlene, who had inspired the book, were murdered in Auschwitz in 1942. In 1990, the Altberliner Verlag published a modern edition of the book for the first time. LBI acquired this rare original 1938 edition from the Friends of the Brooks Memorial Library in Brattelboro, Vermont with support from the Judaica Conservancy Foundation.